We love it when artists decide that they want to shake up their sound and image. It’s never as simple as switching up the producers and stylists they work with. No, we love it so much because it’s usually filled with overblown theatrics and we live for it. Katy Perry decided to set fire to her Teenage Dream wig, Miley Cyrus discovered twerking, Justin Bieber apologized a whole bunch, and The Weeknd has now cut off his signature hair. Changing up his look for the new era in his career, The Weeknd (aka Abel Tesfaye) is leaving behind the man he once used to be. 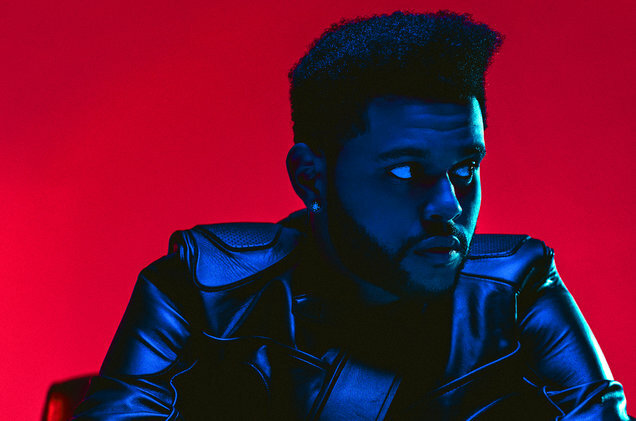 Initially the Canadian singer deleted all his pictures from Instagram, replacing his bio with the words “starboy.” He then shared the cover for his album, also called Starboy, as well as the collection’s titular track. Now The Weeknd has taken to literally killing off his former self. Releasing the video for “Starboy,” which features French electro legends Daft Punk, yesterday (September 28th), The Weeknd murders, well, himself. Within the first 40 seconds of the video, which was directed by Grant Singer, we see a hooded figure place a plastic bag over The Weeknd’s head and suffocate him. It then turns out that it was in fact the singer himself that had committed the murder. He then breaks into his record company and destroys all remnants of his former life with a giant red luminous cross, driving off with a black cat that mutates into a panther at the end (???). While certainly graphic, we’re kinda feeling the extreme metaphor. We love the idea that he’s literally killed off his old self in order to move forward – it might be a tired trope, but it’s executed excellently. That’s not all The Weeknd news, however. The singer also teased that a new song, “False Alarm,” would be dropping tomorrow. The Weeknd’s new album, Starboy, is set for release on November 25th. You can pre-order it now.